The Ham Sandwich Mueller Criminal Complaint against Roger Stone. Given to an Obama judge with Fast & Furious blood on her hands. HUGE JUDGE JACKSON CONFLICT OF INTEREST Note: Her former law partners at Trout Cacheris, PLLC boast on their website that they have been permitted by Mueller to make appearances in the Mueller Witch Hunt, despite the fact that their partner Amy Berman Jackson is the judge in the case. COMPLAINT, DOCKET. (Accessed Jan. 25, 2019). US v. Roger Jason Stone, Jr., Case No. 1:19-cr-00018-ABJ (Amy Berman Jackson) (D.D.C. 2019). “Judge dismisses wrongful death suit against Clinton over Benghazi”. UPI. May 27, 2017. On May 15, 2018, Jackson ruled that the charges against Manafort could move forward. concluding that the charges fell within Mueller’s authority as special counsel. AFI. (Dec. 17, 2013). 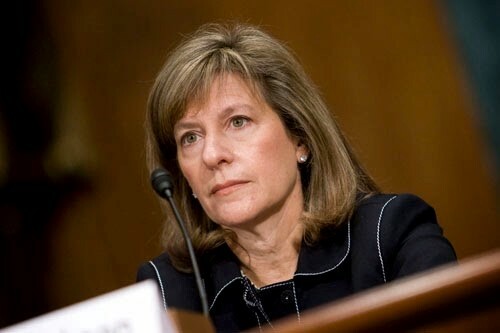 Fast and Furious Judge (Amy Berman Jackson) tied to assault weapons sales by JPMorgan client. Americans For Innovation. S. Hrg. 111-695-Pt-7. (Sep. 15, 2010). Amy Berman Jackson Confirmation Hearing, Senate Judiciary Committee, Serial No. J-111-4. GPO. This is huge conflict of interest! Clear bias toward radical left globalists, Kerry just said at Davos that President Trump should resign. Of course, now we call this “pay-to-play” activity what it really is RACKETEERING. …but don’t expect Justice John Roberts to step in and end this abuse of judicial corruption and clear conflicts of interest in Justice Amy Witch Hunter Jackson because John Roberts is a corrupt globalist himself. He is appointed and supervises the out-of-control FISA judges who attempt to thwart, obstruct, even overthrow the President.